An oceanfront complex with a variety of accommodations! Each condo has its own private balcony overlooking the ocean and/or pool. Living rooms are furnished with wet bar, kitchens are fully equipped. This one bedroom condo offers an additional bunk nook. Master bedroom has jacuzzi tub. There is also an oceanfront pool and spa. 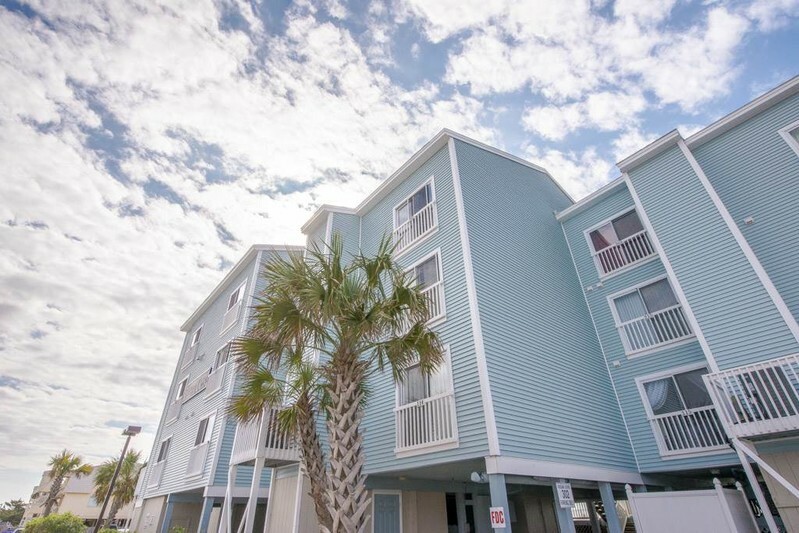 Conveniently located in the heart of Ocean Isle Beach! First Floor Condo. First floor condo located poolside. One bedroom and one bathroom with a fully equipped kitchen. Private deck overlooking the pool. The master has a Queen bedroom, bunk nook located in the hallway, and extra sleeping available in a pull out queen sofa. Other amenities include a cable television, dishwasher, washer/dryer, microwave, ceiling fans, Jacuzzi in master bedroom, Sundeck. This condo overlooks pool. WiFi provided. All bed and bath linens are included for your convenience. (NO LINENS DURING WINTER MONTHLY RENTALS) Non-smoking. No pets. We loved our stay at OC114. The pictures are exactly what you see when entering. Condo was clean, very very well stocked. Would highly recommend, only steps down to pool area, then only steps down to beach. Again, would highly recommend.